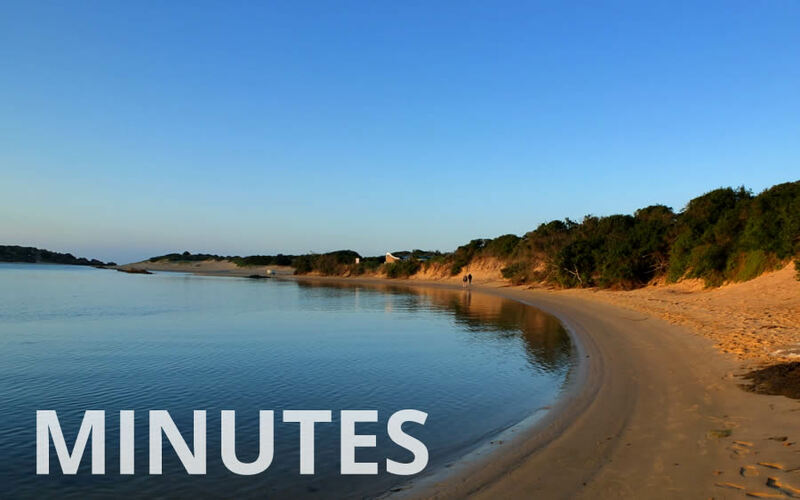 Minutes of the Executive Committee of Bushman’s River Mouth. Ratepayers Organisation Meeting held on Friday 28th March 2019 at 08:30 at the Tennis Club Bushman’s River Mouth. Former Minister for Cooperative Governance and Traditional Affairs, Sicelo Shiceka. Mike White welcomed those present and opened the meeting. In attendance: Lötter Wepener, Shelia Swanepoel, Corrie Swanepoel, Ference Toth, D de Clercq, Jack Dell and Mike White. Apologies: Dalien Pachonick, Kevin Bates and Bill Northrop. Acceptance of the minutes of the previous meeting was proposed by Sheila Swanepoel and seconded by Ference Toth. An email confirmation of the receipt of BRRAG’s NPO submission for 2017 was received from the Director of Non-profit Organisations on 18 March 2019. BRRAG’s compliance with their reporting regulations was confirmed. John Wesley requested the Ndlambe Water Services Development Plan and its related audit/performance report from the Deputy Director of Infrastructure, Thulani Maluleke, on 21st January 2019. He has not yet received it and a follow up was made with the Deputy Director of Infrastructure by the Chairman on 19th February 2019. The Deputy director passed on the request for the plan to the Director Mr Sopela. This plan has not yet been received. The minutes of the meeting held with the Municipal Manager on 26 November 2018 were sent to him at the beginning of December 2018. A copy of the February 2019 meeting minutes was emailed to the Municipal Speaker on 17 February 2019. An email thanking those who donated radios and spotlights to the community security watch members was sent out on 07 March 2019. A letter was sent to Anton Maclean on 18 February 2019 to thank him for his assistance at the tennis courts. A letter was sent to the Municipal Manager on 18 February 2019 to remind him about the need to remove green refuse from the streets and to ask the refuse department to stick to the refuse collection dates to prevent refuse bags from lying in the streets for days on end. The Municipality was informed in writing on 18 February 2019 that a resident of Bushmans has offered to replace the existing damaged benches in Walker Park and at the slipway parking area with new benches and that BRRAG has no objection. A letter was sent to the Municipal Manager on 18 February 2019 to ask him the current status of what action the Municipality is taking regarding alleviation of the flooding problem. As no response to this letter had been received by mid-March the Chairman arranged a meeting with the Municipal Manager on 13 March 2019 to discuss the issue further (see further discussion under Item 5.2). An appeal for donations towards the cost of the new manhole and drain covers was made to all village residents. Two donations totaling R 1 200 have been received to date. These donors have been thanked by the Chairman. An email was sent to all residents notifying them of the new property valuation roll and the objection process should anyone wish to object to their new valuations. BRRAG was registered as an IAP for the dune sand management study that is to be carried out by Aurecon Consultants. A thank you letter to be sent to K. Meyer for a donation towards BRRAG’s fundraising efforts. Another notice regarding the application for the erection of a cellphone mast on Portion 1 of Farm 348 Alexandria Road was published on 31 January 2019. Written objections about this mast from 22 residents were previously collected and submitted by BRRAG to the Municipality on 23 June 2017. The current application is a new one and a letter explaining the situation and giving details for the submission of fresh objections was emailed to all residents on our mailing list at the beginning of February and placed on the BRRAG website. An email was sent by Lötter Wepener to Mr D de Villiers of the Dept. of Environmental Affairs on 31 January 2019 regarding the lack of response on the matter of the sand heaps removed from the Bushman’s River from Mr G Pienaar of the Dept. of Environmental Affairs. A reply from either or both of them is awaited. As we have still not had a response Lötter Wepener suggested that the Chairman should write to the Minister of Environmental Affairs. He will copy his previous correspondence on this matter to the Chairman. All the available information and correspondence regarding the flooding which occurred in 2012 has been given to B. Minaar. Following the SGM held in November 2018 he is trying to find an advocate who can take this matter further on behalf of the affected property owners if it becomes necessary. To date he has not found anyone who can assist and the Chairman has asked him to put his efforts on hold temporarily until the current status of the Municipality’s planning and the way forward can be established. The recommendations of the two previous engineering reports were reviewed. The findings of the second report from Iliso (June 2014) states that the earlier recommendation by Kantey and Templar (July 2013) to just keep the vlei level low with a 900 mm pipe would not be sufficient and they recommended a large drainage channel through the town which would require the expropriation of 8 properties, including part or all of the church property. The estimated cost is in the region of R 80 million. The Municipality then requested funding in December 2106 from The Department of Cooperative Governance and Traditional Affairs. In spite of several promises and further requests from the Municipality no funding has been granted so far. The Municipality stated that they have requested Lukhosi Consulting to also review the flooding problem as part of the planning for another 500 RDP houses in Marselle which will increase the run-off and exacerbate the problem. They promised to give BRRRAG a copy of this report when it becomes available in April or May this year. The Committee accepted Lӧtter Wepener’s recommendation that another Special General Meeting should be called so that the way forward could be discussed again with the community. It was agreed that the SGM would be scheduled for 10h00 on Saturday 27 April 2019 and the Chairman was asked to send out a notice of this meeting to the community. Mike White is now managing the bank account and will maintain the income and expenditure statements, budgets and the balance sheet. Gerald Schmidt will check and sign the financial statements off each month until a new Treasurer is found. Income received up until the end of February 2019 (three months into the financial year) amounts to R 293 270 versus the full budgeted income amount for 2019 of R 368 550. Expenditure up until the end of February 2019 amounts to R 259 191 against the total 2019 budgeted expenditure of R 376 610. The outstanding budgeted income for 2019 is R 75 280, of which R 14 520 is still expected from the outstanding membership fees. R50 000 for the replacement of manhole covers and drain inlet gratings has been added into the budget. An appeal for funding this item was sent out and R 1 200 has been donated to date. The planned budgeted expenditure will need to be monitored closely and cut if necessary. A reminder to pay outstanding membership fees was included with the last newsletter and it will be repeated in the April newsletter. The Easter Craft Market is currently being advertised and it will be held in the town hall. All the previous vendors have been contacted. More items are required for the white elephant stall and volunteers are required to set up and man the stalls. A beekeeper has removed two hives in the cemetery and another hive on the corner of Main Road and Marais Street. The two small lawnmowers have been serviced and the large one was overhauled. Grass cutting was curtailed due to the drought and the need to avoid damage to the grass root systems but the grass cutting schedule has now resumed following the recent rains. The village has also been kept tidy with the brush cutter and the cemetery has had its annual clean up. The proposal was received from a resident in Bushmans asking if the grass in the public open areas, particularly the trailer park, can be cut less often to allow for a less formal look and to promote seeding, insects and birds and it was suggested that footpaths be cut across the area where required and the remainder of the grass left a bit longer. The proposal was discussed but rejected as it was felt that most residents would prefer a more tidy look. Bill and Gerald have been removing the green debris left behind by the visitors as the Municipality is still not picking it up despite our requests to them to do so as it is their responsibility. A reminder about this issue was emailed to all residents in February and another reminder will be placed in each newsletter (along with a suggestion to install and use rain water tanks). It was agreed that Corrie Swanepoel will replace the rope walkway handrail at the ablution block in the dunes with a sturdier wooden handrail. Road marking is only scheduled to take place later in the year. Further attempts will be made to get the Municipality to do this but if unsuccessful BRRAG will do it if funds are available. Some household refuse dumped in an empty plot alongside 5th Avenue in Riversbend has been removed by BRRAG. A reminder will be placed in the April newsletter asking people to pick up their dog litter. The only member of the Municipality to attend the Ward Committee meetings is the Deputy Director of Infrastructure and he is not in a position to provide answers or to provide binding assurances that the issues raised will be dealt with. Additional houses required in Marselle – 500 additional houses are still being planned. Repairs to existing RDP houses are required. Additional water stand pipes are required for the informal housing areas. Electricity must still be supplied to some areas of Marselle. Additional street lights are required in Harmony Park. Municipal services must be provided to two informal settlements in Harmony Park. The water challenges being faced by the residents of Marselle. An updated progress chart containing 15 items dating back to 2013 was tabled. Reports that were supposed to be tabled by various Municipal Directors were not presented and no information could be given as no Directors were present. The Masakhane Financial Report for December 2018, which reflects the number of households in each ward that qualify for assistance, was tabled. The water sample results for January 2019 were tabled. The e-coli count result for the test in the Bushmans River taken on 19 January 2019 was zero. The report does not say where the test sample was taken – the Chairman will try to find out. The application for a liquor licence by the Red Apple was noted and the application for an Off Licence in Harmony Park was tabled and accepted without comment. The Chairman met with Mr Mjacu, the Municipal IDP Manager, on 13th March 2013 and confirmed that the document containing BRRAG’s IDP requirements that was given to Ward 3 Councillor Cynthia James, the Speaker and the Deputy Director of Infrastructure Mr T Maluleke on 13th February 2019 contains all our IDP requests. Mr Mjacu confirmed that he had a copy of this document and that he would take it into consideration for the new IDP planning process which starts at the end of March 2019. The ablution blocks were in fair condition when they were inspected last week. Corrie Swanepoel will inspect them again before the Easter weekend. The Municipality has attended to a broken sewage pump in 4th Avenue, Riversbend. The road repair for the water pipe that was fixed outside Nicholl’s Store still has to be done. The new manhole covers and drain gratings required in Bushman’s River and Riversbend have been installed. Mike White will install white poles at the vulnerable manhole covers to prevent them from being driven over. The water outages are continuing due to the reduced availability from the dune field during the drought as well as the frequent load shedding which is affecting the refilling of the reservoirs. An action group to monitor the situation, to report leaks and to obtain information from the Water board / Municipality has been established and the Chairman is included in their Whats App message forum. A meeting is scheduled for next week and the Chairman will attend. Notices of shortages and non-availability of water are being put on the Bushman’s Buzz Whats App group to keep residents updated. The offer to pave the slipway parking area made at the AGM still has to followed up by the Chairman. The defective streetlights on the list given to the Deputy Director of Infrastructure on the 25th January 2019 have not been repaired yet. Poor checking of properties after an alarm has been responded to. The failure to set up and ask for access codes when querying an alarm signal. HiTec have stated that they will take the necessary action to correct these security issues. There have been 3 break-ins in Riversbend and 7 in Bushmans since the last meeting. The neighbourhood watch groups have been active and have dealt with quite a few potential incidents that would have probably occurred without their presence. Offers to donate funds to cover some of the costs for the neighbourhood watch group have been made and Ference Toth asked if these funds could be managed by BRRAG. BRRAG was also asked if they could send out an appeal for donations. The camera fund is currently looking at ways to upgrade the camera control system as there are too many cameras now operating on the old system. Mike White has checked the current arrangements for maintaining the fence and Bill Northrop has volunteered to be responsible for this task in 2019. Gideon van Niekerk is still employed to check the fence and keep it clear of vegetation. Bill has contacted the Addo National Park’s Chief ranger and he has agreed to inspect the large tree branch overhangs on our southern boundary fence firebreak which we cannot deal with ourselves as we do not have the necessary tree felling equipment or staff. Ference Toth has contacted Walter Biggs and the sign in his property which had fallen across the security fence has been removed. The current liaison between the SAPS and the neighbourhood watch committee is satisfactory. The new firefihting station on the R72 is now fully manned and efforts are being made to recondition the two fire engines. During the recent visit to the fire station it was discussed that the BRRAG fire trailer should be kept at the fire station. A check is required to see if this complies with the trailer insurance conditions. Mike White will check this with Bill Northrop and Gerald Schmidt. The website has now been updated with some new photographs following the major update done last month. the latest meeting minutes, planned events, the January newsletter and an updated membership form. The new bulk emailing programme is working well and it provides weekly feedback on responses to our community emails. Direct links to the website and the membership form are also being included with the emails. The website has provided the website access codes for our records. The current website maintenance contract expires at the end of August 2019. The need to retain the bushmansriviermond.com and bushmans river mouth.com domain names will be discussed with John Wesley. At present Lӧtter Wepener is paying the monthly fee to retain these names. The next newsletter will be sent out after the Easter craft market. Rubbish is still being removed from the towpath by the Estuary Care worker. Estuary Care will need to take up the issue of educating people about littering with the Ward committees. Boaters who do not use their moorings in the off season must be warned that their weights sink into the sand with time and the buoys will become irretrievable unless they are lifted out when not in use. Bill Northrop’s meeting report suggested that clearing of vegetation out of the river should be discussed with Estuary Care before it is done so that it can be done judiciously in order to prevent unnecessary erosion of the river banks. Corrie Swanepoel has cut the long grass on the beach area just north of the slipway carpark. The Committee thanked Corrie and approved of the work done. Maintenance of the river signs is on going and Shane Boating Company is probably going to maintain the dangerous rocks sign further up the river. The study regarding the construction of 266 low-cost houses alongside the R72 in Klipfontein which was prepared by Urban Dynamics was tabled at this meeting. It has not yet appeared on any ward or municipal meeting agendas. Sarah Baartman District has been declared a National Disaster Area due to the on-going drought. The draft Municipal Budget for 2019/2020/2021 should be available for inspection towards the end of March 2019. A long discussion was held on the recommendation made by the Department of Water and Sanitation regarding the implementation of the formula for houses and areas with respect to water usage. The correctness of DWA’s information, and the resulting formula, was questioned. The biggest concern raised at the meeting was the water supply situation in Ndlambe and also the proposed additional housing which will increase the water demand which is already insufficient for the existing houses. BRRAG currently has no representatives on the Kenton Chamber of Business. The meeting was closed by the Chairman at 10h10. The next meeting will be held on Saturday 27 April at 11h00 at the tennis clubhouse after the Special General Meeting.